Transformers: Forged to Fight from Kabam is a fighting game, pure and simple. If you have played other fighting games before, the gameplay is similar and should be easy to get into. While it is not the only Transformers game around, there is enough in Forged to Fight that make it stand out from the rest. The right side of your display has the swipes and taps, while the dashes and blocks are on the left. Learn to master these and you will beating the other roots and claiming victory. However you also need to use some strategy as the game to advance and come away with the win. Dashing away helps to avoid getting hit, but you have to be careful you don’t get shot. Use this maneuver to draw out your gun and tap to fire away. Is the enemy shooting at you? Swipe up or down to avoid fire. This being a Transformers game you can of course transform, and it can be useful in some battles. The bots may automatically change and hit the opponent, and you can also fire weapons while in vehicle mode. The game has a story mode, arena mode and other missions so there is enough here to keep you occupied. There is also a build and battle element here, and you get to collect a lot of the Transoformers as well. And if you are a Trnasformers fan, you will notice that it uses the same sounds from the TV shows. 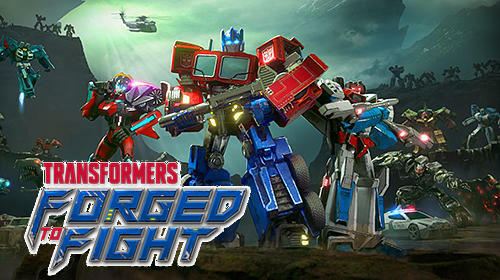 If you love Transformers and fighting games in general, you will not be disappointed with forged to Fight.